Operating system: It improves your mobile capability. Updating OS will make your mobile new by updating applications in it. Make sure that before updating your mobile backup your files which are useful. 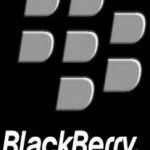 The basic Operating systems in blackberry are calendar, email, notes, tasks and contacts, used with BlackBerry Enterprise Server. The operating system also supports WAP 1.2. Social feeds: In a single view you can see all social feeds through which you can update news for one or many or all at a time. Browsing: tab browsing which makes multiple pages open at a time. Quick loading can be done. Universal search: search on any topic in different pages same time. Enjoy flowed online mode with new camera mode, art, sharing etc. Simple setup: switch-on your handset you will get a small intro video and start setup. Design: easy design to understand. It is easier than a smartphone. Maps: finding directions are easier through satellites. Driving directions: while driving you will get directions. Instant text messages and route is shown. Traffic reports: traffic conditions can be informed once you set the direction through which you need to travel. You can change direction according to traffic. Weather forecasting: Local weather conditions can be shown all the time and you can get information by search, giving location name. You can get this version in blackberry Pearl 3G- 9100, 9105. Curve 3G- 9300, 9330. Mobile hot spot: In manage connection option you find an icon with mobile hotspot with this you can create a hotspot. You can connect it to five Wi-Fi devices at once. Near field communication (NFC): With a tap on your NFC and other tap on another NFC will invite to share the app from blackberry app store, exchange contact info, BBM, send video, messages, pictures etc. Through Bluetooth you can be in touch through this all the time. Wi-Fi calling: By switching on to Wi-Fi through hotspot, you can make calls through this. Entertainment: using FM radio enjoy listening music, news feeds anywhere and anytime. Search: in each stroke you will be provided with a universal search through which your search becomes easier. You can get results based on your search. Large screen, with good storage capacity. Wi-Fi at your hands. You can use it when you need. Tagging pictures that are worthy. Movies, messaging, video can be downloaded quickly. You can get this version in blackberry Curve- 9350, 9360, 9370 and 9380. The new operating system in blackberry is here for you with mobile name, now rush start buying to enjoy services.